Blotch and Thrum: River People! So, my friend does not think River People is a creepy enough name for this collection, but she does not have to walk across bridges on her way to work, so she does not know how creepy it can be. Sadly, I don't have the brainpower to get the scales of the prints in proper relation to each other right now, and I know that the two fluorescent green prints were tacked on as an afterthought. The dots kind of work, but the moons just don't fit, but I love them, so there they stay. 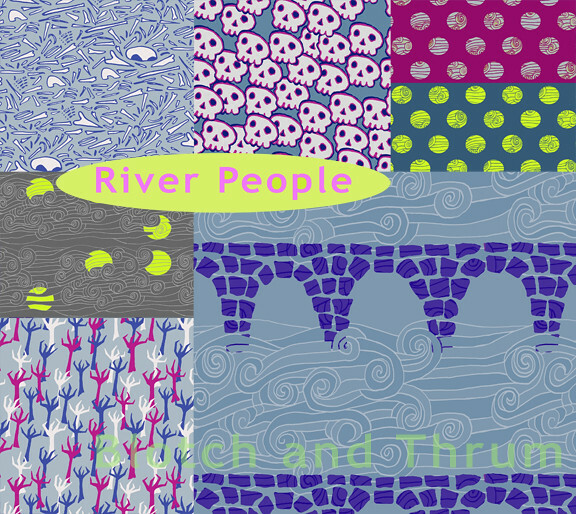 If you want to see them in relation to each other scale-wise, the River People collection page on Spoonflower shows all fat quarters. I've also got bone field (top left) available as wrapping paper, I have some of this myself, it is so good! I think they look amazing! But they're huge! They are three feet high! And there were reflections on the glass I couldn't get rid of, so that's my excuse on why it looks somewhat weird here. That and I took the picture at the last minute before the sun went down. Darn shorter days! Anyway, in order to mess with the giant frames, I cleaned off my counter, and now it looks like I can do things there. I bought a new screen for silk screening, and wrote on it, and hopefully I will find the time to fill it with filler and make some prints! 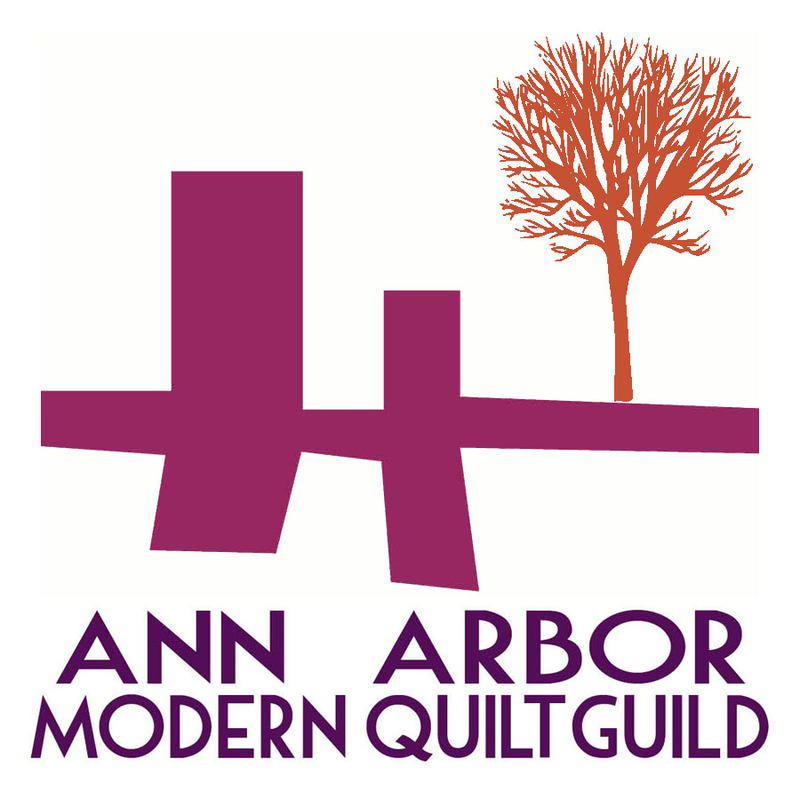 I've also started cutting for two new quilts, despite having two quilts in progress! And while I finished the baby quilt last night, that is not much of an excuse. I still have two other quilts in progress! I'm having one of those inspired to go in all directions at once months, I guess. PS. 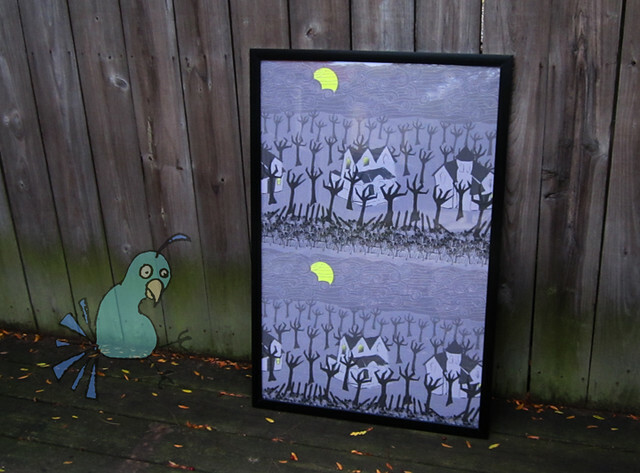 There are several other new prints available on Spoonflower from me. The Haughty Moons are my favorite of the rest, but there are some fun orange swirls, and the club chevron, among other things. It looks great! Well done you!